Other Products by Gen-Tec. Search other Essential Fatty Acid products. 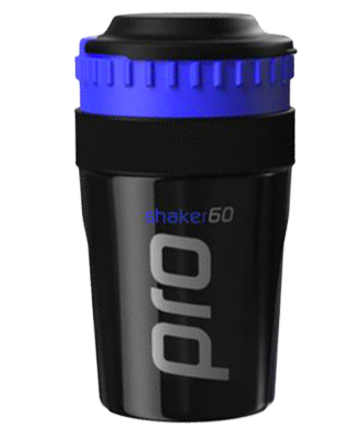 Burn Fat, Build Muscle Mass! 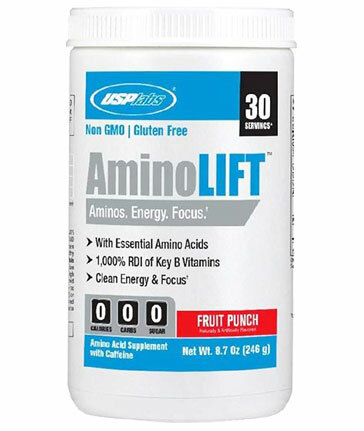 Conjugated Linoleic Acid (CLA) is a naturally occurring fatty acid. Dietary sources of CLA include whole eggs, meat and dairy products. Mushroom is the best vegetable source of CLA. 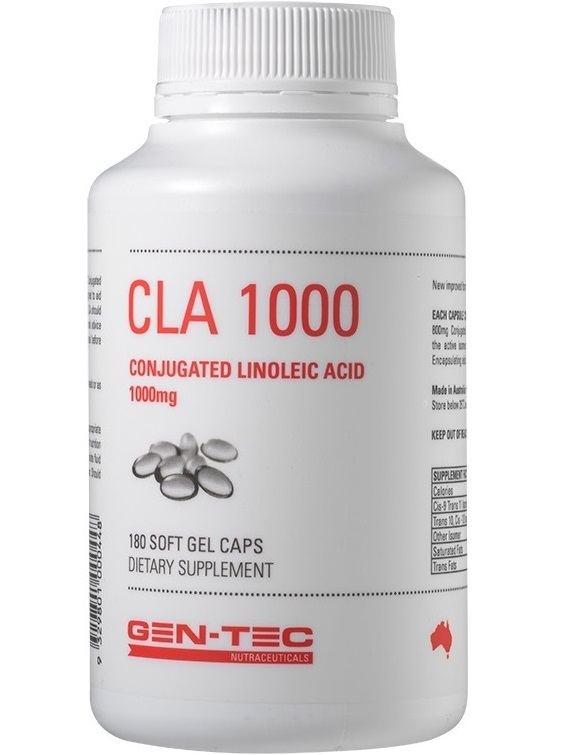 GEN-TEC NUTRITION'S CLA is derived from safflower oil, a premium dietary source to produce one of the highest quality linoleic acids (omega-6 fatty acid) available. Some studies suggest CLA supplementation is useful when on a fat loss or weight loss program, while at the same time increasing lean muscle mass. 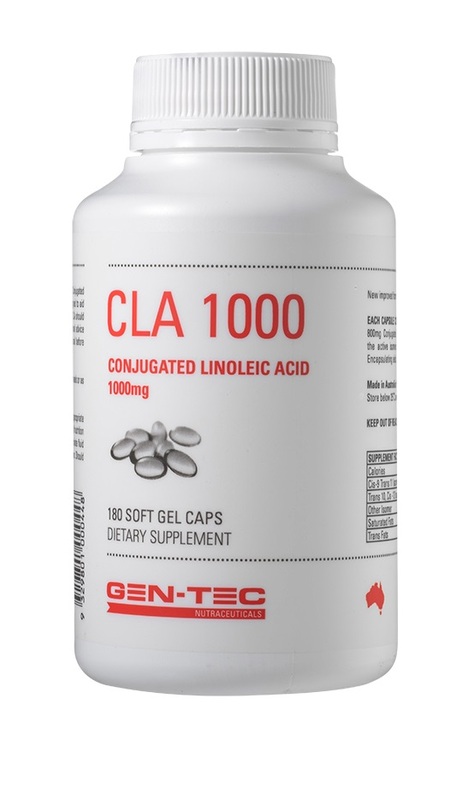 Importantly GEN-TEC NUTRITION'S CLA contains active isomers (c-9, t-11) and (t-10, c-12) in equal ratio. Consume 1 CLA capsule with each major meal. Gen-Tec contains a range of other products that are useful for weight loss programs, such as Acetyl-L-Carnitine and L-Tyrosine.